Heart Sounds International (HSI) is a ministry of OM Arts that helps churches all around the world to create new worship songs, using their own local expressions of music and arts. In April 2018, a team of five travelled to Kosovo to hold a songwriting workshop for local believers. Participants came from different cities and towns with a heart for leading their church communities in worship in their own language. Workshops were held in city of an estimated 100,000 people, with only one evangelical church. Participants were millennials with little to no experience in song writing and during the three-day, were given short teachings about songwriting techniques, biblical perspectives on worship and themes and passages to write about. At the end of the training, nine new worship songs were written in Albanian. “For me, as an outsider, it was amazing to see how they were able to write beautiful songs in their own style and language for the first time, and were encouraged to keep doing so. It is a revolutionary idea in communities where worship songs are imported,” says Tatu Kekkonen, HSI team member, and a worship leader from Finland. Most of the music sung in Kosovar churches are translated songs from Western European and North American churches. Some people like it, but there is a big need for songs that would fit into local culture, songs that Kosovars could feel as their own. "[They wrote] a brand-new Communion song in the Albanian language. Musically and lyrically, one of the best I've heard. They will eventually create a 'singable' English version and you will love to sing it in your own churches!" said Paul Neeley, a HSI team member who has been working with songwriting among different indigenous people groups for the past 30 years. The pastor of the hosting church was excited to hear the songs and lead his congregation in worship with new music. Most of the songs written during the workshop were recorded, and a local church member promised to help with future recordings at his home studio. Hopefully in the near future, there will be a collection of new Albanian worship songs published as both recordings and sheet music. “Now is the time for the Albanian church to take a stand and make Albanians disciples of Jesus,” says Bledi, an Albanian musician living in Kosovo. With his wife, they moved from Albania to Kosovo to work with a local community of Jesus followers. Albania and Kosovo are neighbouring countries with people who share the same ethnic identity and language. After the end of Communism in 1992, the Albanian church became one of the fastest growing churches in the world, whereas the church in Muslim-majority Kosovo is rather small. Bledi visited Kosovo for the first time six years ago, when he was invited to perform at a Christian music event. That was when he realised the need for sharing the good news in Kosovo, and began to look for future opportunities. “Life was good in Albania, but not satisfying. I realised I cannot waste my life behind a computer,” he said. 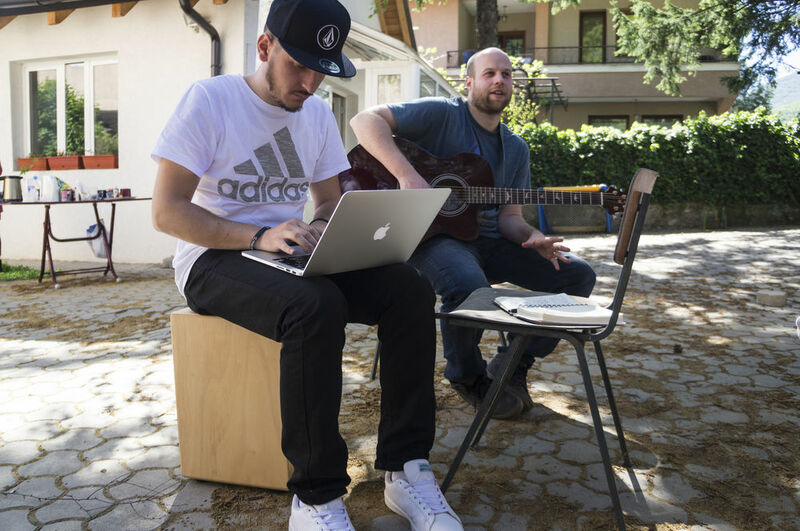 With their worship team, Bledi wants to create new music in the Albanian language. Being part of this workshop gave him encouragement for his ministry, and new friends who share the same passion.